The three complaints were made about shows broadcast on Virgin Media Television. THE BROADCASTING REGULATOR has rejected three complaints that programmes broadcast on Virgin Media Television in the run up to last year’s referendum on the Eighth Amendment failed to be fair, objective and impartial. Two of the complaints to the Broadcasting Authority of Ireland (BAI) were made against The Tonight Show, hosted by Matt Cooper and Ivan Yates, and the third was against The Pat Kenny Show Referendum Special. The three complaints were all made by Brendan O’Regan and the programmes were broadcast last May when the channel was known as TV3. The complaints against The Tonight Show focused on programmes that aired on 17 and 21 May ahead of the vote on 25 May. Both of the shows involved panel discussions on the referendum with representatives from each side of the debate. Each panelist set out their position at the beginning of each of the programmes and this was followed by an open discussion. Both programmes included fact-checking undertaken by a journalist from TheJournal.ie. O’Regan complained that the fact-checkers, Sinead O’Carroll and Susan Daly, did not remain impartial and, on occasion, provided their own viewpoints under the guise of providing facts. He said that the panelists should have been given the opportunity to challenge the fact-checkers. The complainant also expressed the view that the presenters put more challenging questions to the panelists advocating a ‘No’ vote. He claimed that the programmes were not fair, objective or impartial and were biased in favour of a ‘Yes’ vote. In responding to the complaint, Virgin Media Television said that the presenters engaged the fact-checkers from TheJournal.ie with a view to ensuring that the audience was provided with information which was “trustworthy, honest and credible”. It said that on both nights the fact-checkers provided accurate information and answered questions without expressing their own views. The broadcaster added that the presenters also challenged each side fairly and did not express their opinion. In unanimously rejecting the complaint the BAI’s Compliance Committee found that the fact-checking element of the programme was fair, objective and impartial and it found no evidence that the panelists advocating a ‘No’ vote were treated unfairly. The complainant made a similar complaint against The Pat Kenny Show Referendum Special, which was broadcast on 23 May. He said Kenny was “rude” to the ‘No’ panelists and challenged them in a more robust manner than those representing the ‘Yes’ side. O’Regan said this was most evident in Kenny’s treatment of, Iona Institute member, Maria Steen. 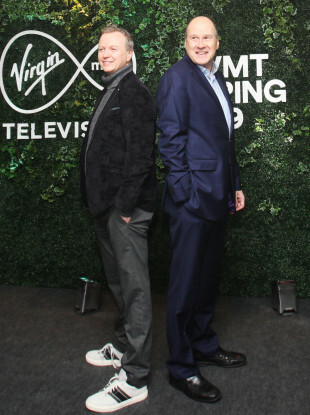 Virgin Media Television said in its response that the discussion was fair to all sides and gave each of the contributors ample time to make their case. The broadcaster acknowledged that Kenny was “direct and strict” with the panelists and contributors on the programme but maintained that this approach was necessary given the nature of the debate. In unanimously rejecting the complaint the Compliance Committee found that Kenny moderated the debate fairly and found no indication of bias. It also found no evidence that Kenny’s treatment of any of the contributors infringed on the requirement to be fair, impartial and objective. The authority also dismissed a complaint made by the Kerry based company Bio Atlantis against the RTÉ One documentary series A Wild Irish Year. The rejected complaint stated that the show made false and unsubstantiated claims about seaweed harvesting. Email “Broadcasting watchdog rejects complaints of bias during Eighth Amendment referendum TV debates”. Feedback on “Broadcasting watchdog rejects complaints of bias during Eighth Amendment referendum TV debates”.